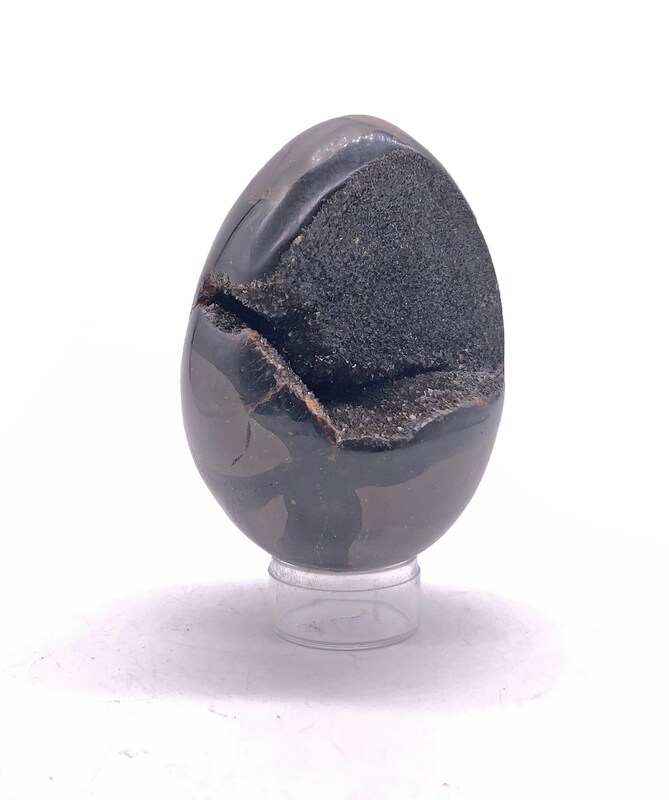 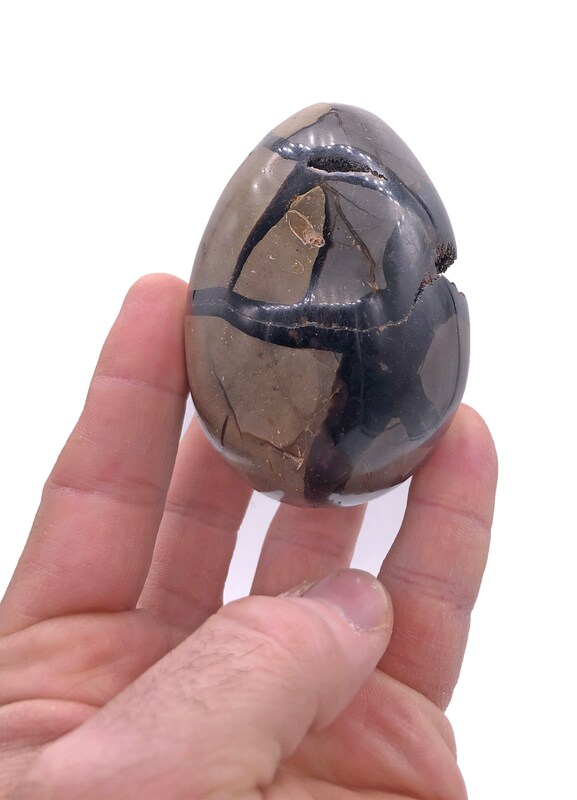 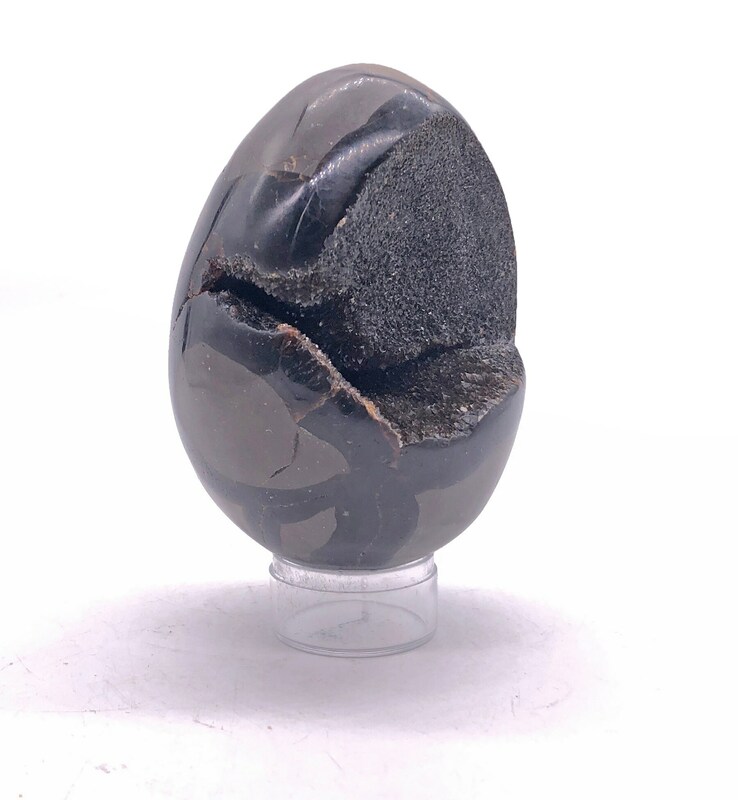 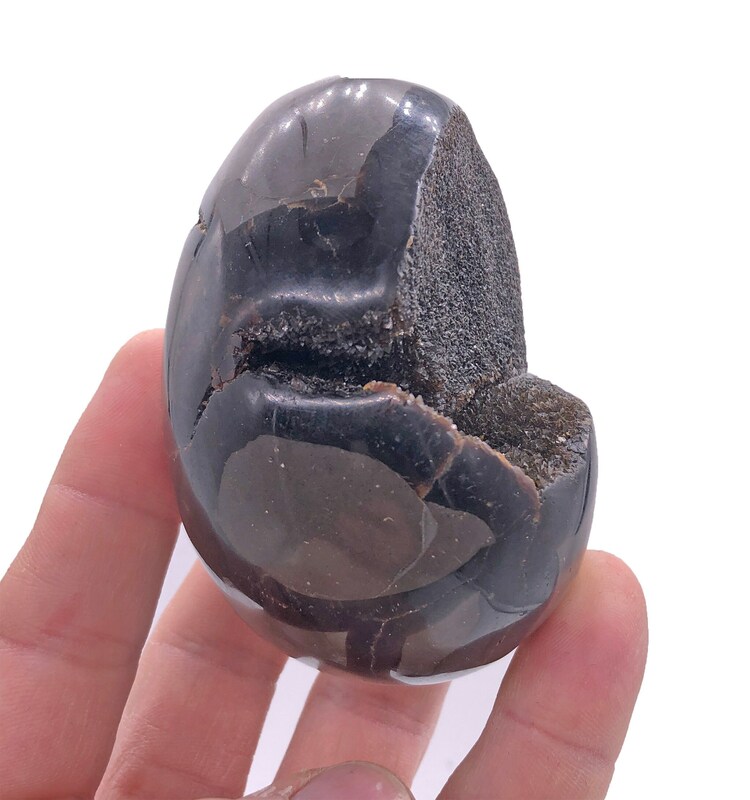 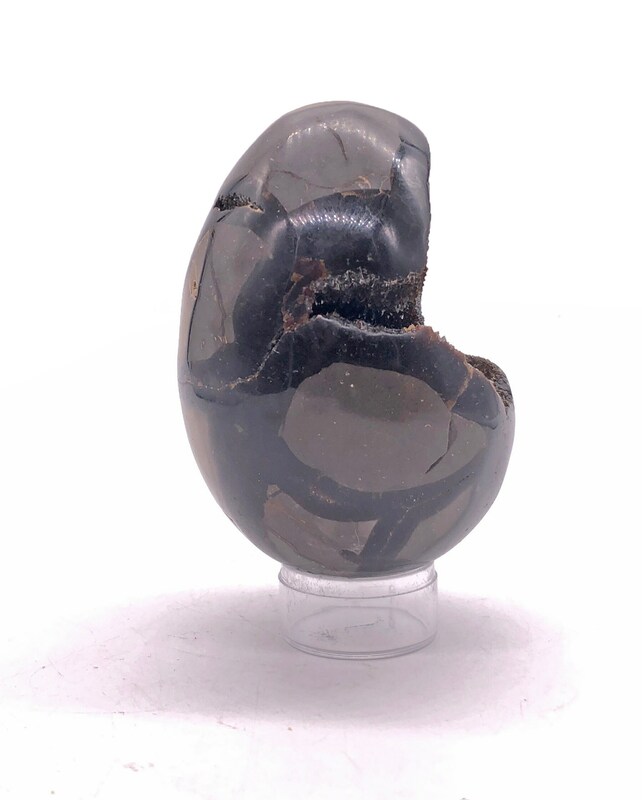 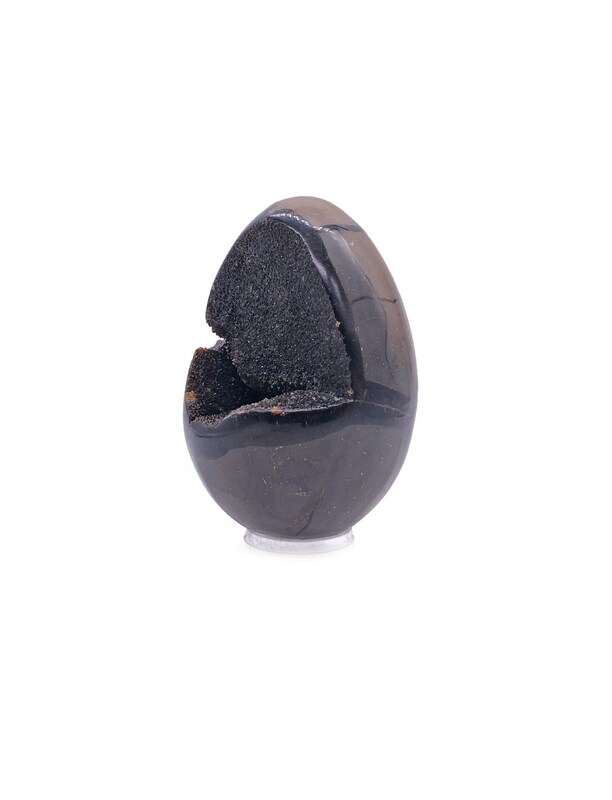 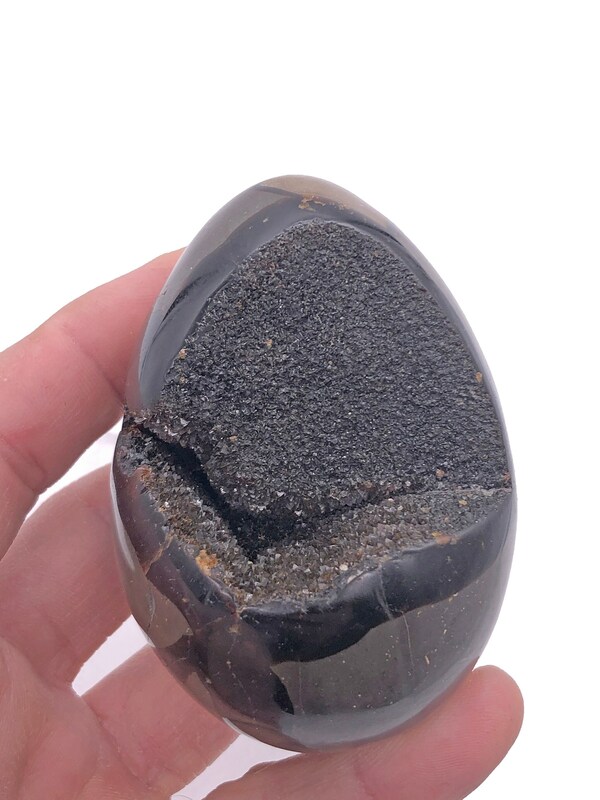 Septarian with Calcite, shaped into an egg shape. 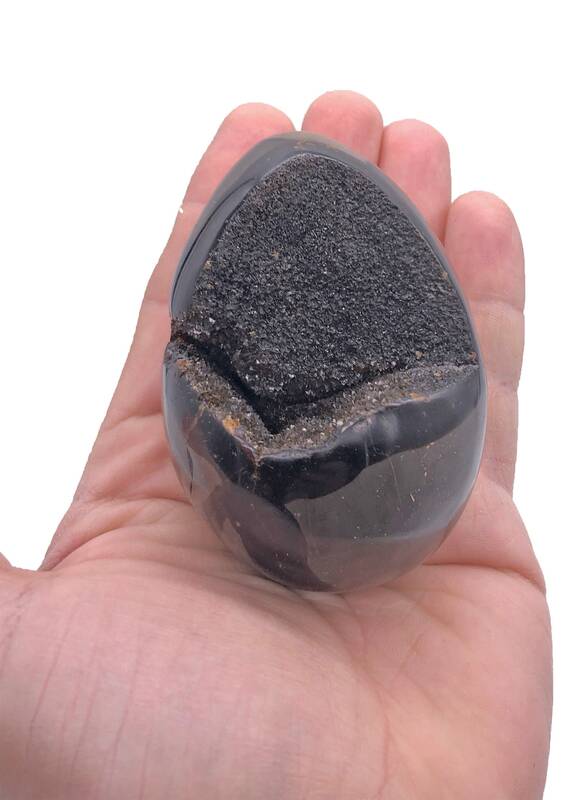 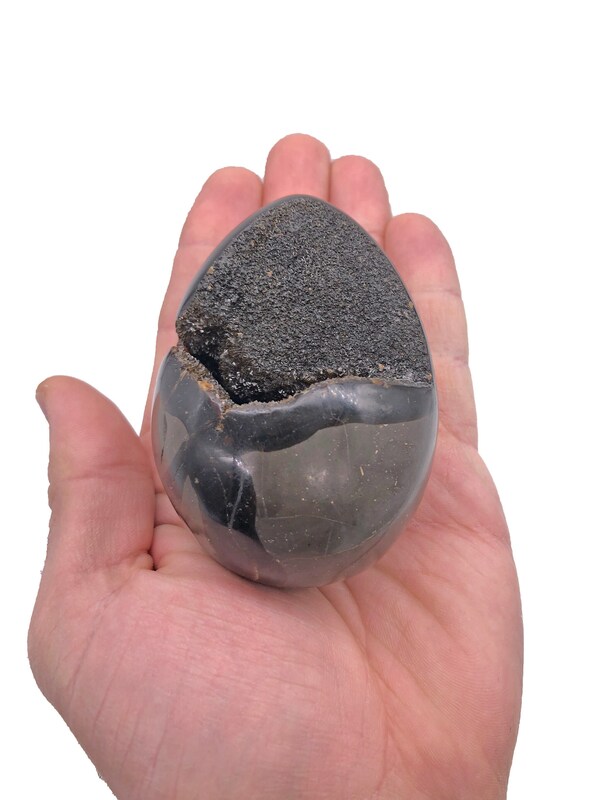 Commonly referred to as a "Dragon Egg". 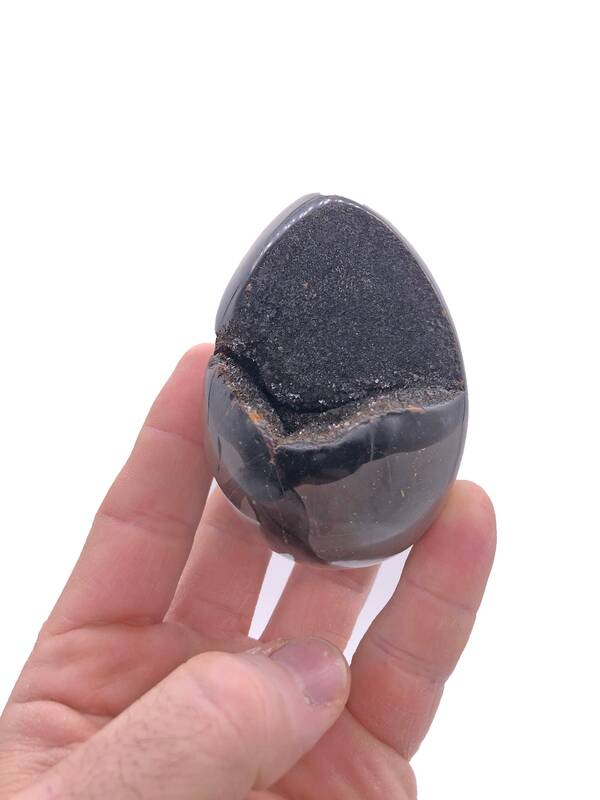 Nice size to fit in your display case or on your desk at work!